It’s a tile-matching puzzle based video game. It’s immediately recognizable as one the most iconic games of all time. It was the first piece of entertainment software to make its way onto United States soil from the old Union of Soviet Socialist Republics (USSR) and it can trace its history back nearly thirty years. Yes, we are indeed talking about the wonderful TETRIS game, which Apple is now offering for free as part of a limited time promotion that links directly to the iOS App Store. Electronic Arts’ official version of TETRIS brings the iconic title into modern times by overhauling the visuals of the falling tiles and surrounding environment to make it fresh, easy-to-use and extremely futuristic looking. The popularity of TETRIS has made it one of the best-selling mobile games of all time, which is something EA has been keen to exploit and improve on by integrating additional features and visual improvements that really bring the game to life on the small screen. 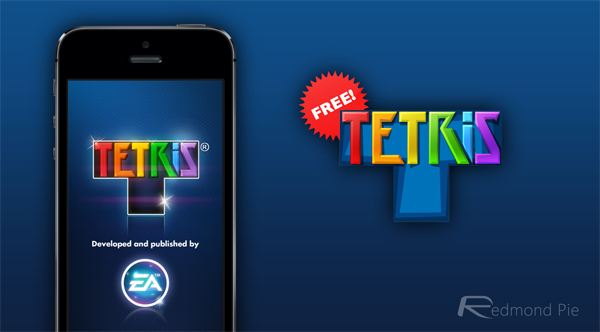 To promote the game, and to give something back to users in the process, Apple is offering EA’s TETRIS as a free-of-charge download as part of the "A throwback for you. On us" campaign through the Apple Store app. EA’s standard pricing structure for TETRIS usually requires a potential gamer to part with $0.99 with the option of additional in-app purchases to stock the in-game safe up with virtual currency known as T-Coins. Unfortunately those in-app purchase prices still stand, but the 100% discount on the download price will ensure that EA has their game in front of a boat load more users by the time this promotion finishes. Apple is extremely keen to get iPhone and iPad users to download and make use of the Apple Store app, and are clearly planning on using promotions like this to drive numbers into the software. This particular promotion shouldn’t be confused with the ongoing "Best New Apps", "Editors Choice" or "Featured" selections that regularly adorn the front page of the iOS App Store. 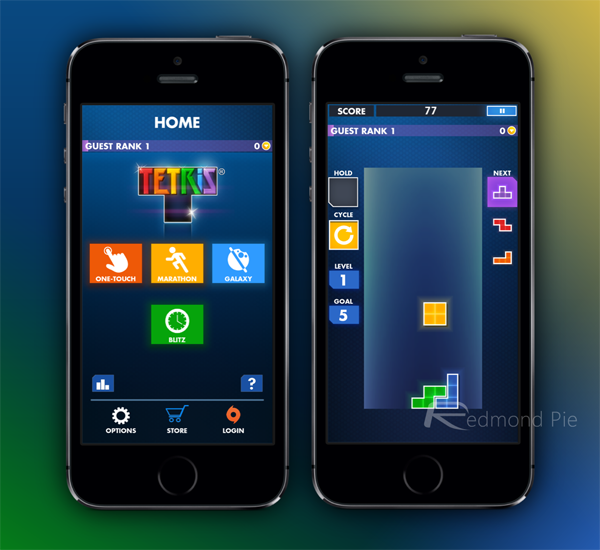 The free TETRIS offer, and other offers like it, are accessible through the Apple Store app that needs to be downloaded separately from the App Store. Selecting the promotion will then pass the request through to the App Store with a redemption code attached to apply the discount. If you’re into iconic puzzle games and want to play TETRIS as it should be played, then grab the offer now before it expires on April 7th.